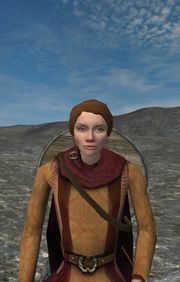 Lady Isolla of Suno is the claimant to the throne of Swadia. Her father named her as his heir, but she was deposed by her cousin Harlaus, who declared that her father was mad to choose a woman as his heir; being the closest male relative, he took the throne for himself. This page was last edited on 19 August 2010, at 00:49.